The reality that “our journey is not complete” highlights our need not only to demand change but to experience change as well. Martin Luther King, Jr. not only demanded change, he experienced change. He exemplified and demonstrated what it means to change. When first approached to lead the Montgomery Bus Boycott, Martin Luther King declined. His eventual acceptance to lead the boycott, however, placed both him and the nation on a journey of profound change. For a map to be useful along one’s journey, one has to follow it. 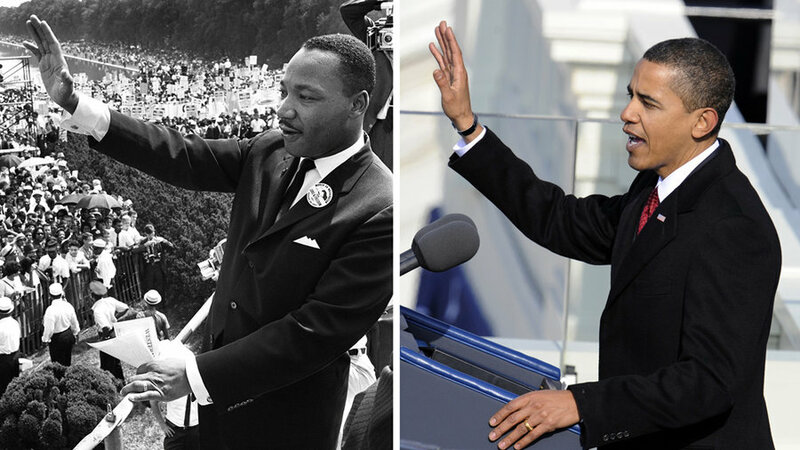 The underlying premise of President Obama’s inaugural speech echoed the premise of many of Dr. King’s speeches. We as a nation have declared our destination, but we have not always committed ourselves to following the map that shows us the way. To arrive at our destination of a “more perfect union,” we have to take seriously the map that declares the worth, value, and equality of all humanity. We have to move forward together as a nation of equals, not as a nation of many ruled by a few. I’m not writing to analyze the details of the President’s inaugural speech. There are enough political analysts and pundits to do that. I am more interested in seriously reflecting on how I as an individual and we as a nation can continually change to create a more perfect union. I am interested in how we make “self-executing” the alleged “self-evident” reality that every human being is created equal. There will never be a shortage of people willing to argue and debate the merits of particular political policies. I am writing today, however, in hope of keeping our eyes on what I believe to be the heart of President Obama’s inaugural speech. The President clearly articulated that every political action we take as a nation should be linked to the one self-evident truth that all people are created equal. We can debate Medicare, Medicaid and Social Security. We can debate the merits of universal healthcare coverage and the skyrocketing costs associated with healthcare. We can debate our national debt, debt ceiling increases, and our economic recovery. We can debate foreign policy and our involvement in armed conflicts. It is my hope, however, that every political debate will take place within the context of the one self-evident truth that all people are created equal and are endowed by their Creator with certain unalienable rights, that among these are life, liberty, and the pursuit of happiness. Not only is that my hope, I believe it reflects President Obama’s commitment to us as a nation. He declares to us on this Martin Luther King holiday, “Today we continue a never-ending journey to bridge the meaning of those words with the realities of our time.” This I hope is a plan no one can argue with. He also informs us that our journey is not complete until we bridge the meaning of those words with the realities of our time. May we never lose sight of this map along our journey. One of the greatest acts of patriotism is to demand a nation live up to its ideals.